Slow and Steady Wins the Race: Happy Birthday Bugs Bunny! 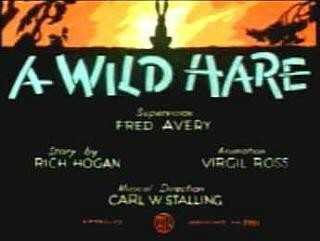 "A Wild Hare (re-released as The Wild Hare) is a 1940 Warner Bros. Merrie Melodies animated short film. It was produced by Leon Schlesinger Productions, directed by Tex Avery, and written by Rich Hogan. It was originally released on July 27, 1940. 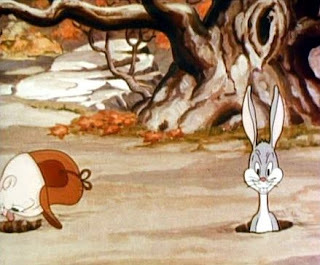 A Wild Hare is considered by many film historians to be the first "official" Bugs Bunny cartoon..."